A simple device that lets our plants tell us what they need and when they need it. The beneficial properties of plants cannot be overestimated. When you bring greenery into and around your home, you get far more than great decorating- you’re potentially enhancing the quality of life. But the problem remains: how do you keep that greenery, green? 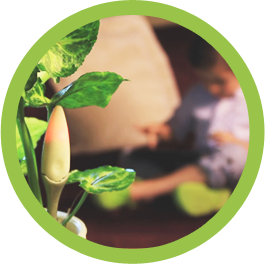 It’s easier than ever with the WaterPixie- a device that allows your plants to talk to you. Over watering your plants is over. With a modern, economic design, and research and technology that is the result of original work at NASA, the WaterPixie intends to make the world a little greener- one house plant at a time. able to measure light, temperature and PH, as well as moisture. Life is complicated. Plant care shouldn't be. The WaterPixie works with a tiny and highly sensitive moisture sensor. 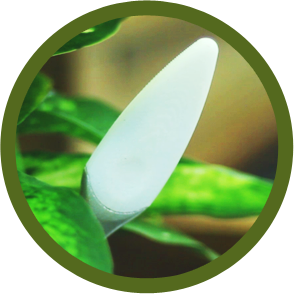 Simply insert the WaterPixie into the soil of any plant, and it will immediately read the soil moisture. 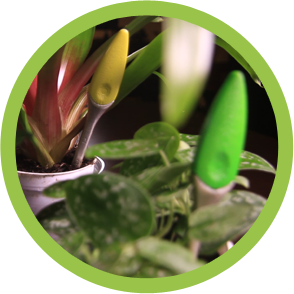 A red flash and a chime will notify you if the plant needs water. If nothing happens, your plant is feeling fine. It couldn’t be easier. You can move your WaterPixie to other plants and take multiple readings, or leave it in the soil of your favorite houseplant so it can always tell you when it’s time to water. And unlike similar products that can be rendered useless in a month, the WaterPixie will not corrode. You can leave it in the soil indefinitely. No more guesswork. Kids will even gain the confidence to care for their own houseplants- a great study aid on any student’s desk. At about the size of a pen, the WaterPixie is small enough to sit in any houseplant, without toppling the plant over. One reason the device is so small, is because of the batteries. By choosing to use two small, button cell batteries, rather than the typical, larger AA batteries, the WaterPixie can sit easily and inconspicuously in any plant. In comparison to other products on the market, the Water Pixie is designed to last for as long as you own it. If after two years the battery finally dies, you will only need to replace the batteries — never your WaterPixie. Not only is the WaterPixie extremely affordable, all pixies come with a 1 year, no-questions-asked guarantee. Available in a variety of vibrant colors, you can pick the Pixie that best suits your style. And as your garden begins to grow, so can your collection of WaterPixies. In a fast paced world, now is better. Some plant care products require vast previous knowledge or ample measurement time before they can accurately read your plant’s soil. The work has already been done for you with the WaterPixie. The Living Systems team of scientists did extensive research on over 30 household plants. They found that most plants have a common inflection point where stress and plant death begin to occur. Two days after hitting that point on the curve, a plant begins to stress. Four days after, the plant begins to wilt, and eventually dies. What this research means for you is immediate results. Place your WaterPixie in the soil, and within 10 seconds it takes a reading. No measuring, no waiting around, no initial set-up required. Enhance your quality of life with plantlife. Beyond the beauty they provide, plants in and around your home can offer several very real-health benefits. Plants and humans are natural partners. As you breathe in oxygen and release carbon dioxide, your plants are converting your carbon dioxide back into oxygen. That means the air quality in your home improves. You can think of plants as the lungs of your home. Plants have been found to reduce stress and anxiety, speed recovery of surgical patients, sharpen focus, and even decrease the occurrence of fatigue, colds and headaches. 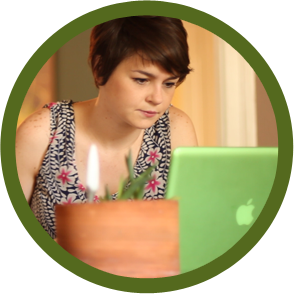 With the WaterPixie keeping your greenery green- you and your family can breathe a bit easier. After all, healthy plants equal a healthy home. A wise Pixie knows when not to chime. With a built-in photo sensor- this smart gadget knows not to chime when you’re asleep, and instead emits a gentle flash. The notifying chime will only happen during the day, while the Pixie is surrounded by light. That’s pretty smart, but it’s only the beginning. Your WaterPixie is designed to allow you to gather as much information as you want about your plant. When used in conjunction with the Pixie App- which speaks to the overall Pixie Garden Network, the WaterPixie can tell you whether your plant needs sunlight, the pH balance of the soil, and so much more. It’s easy and fun. 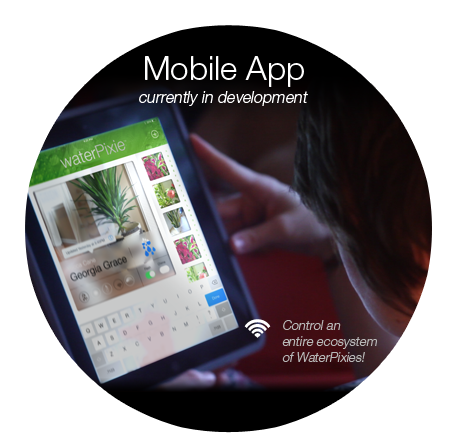 You can name your plant, add it to your personal garden in the Pixie App, and receive push notifications from the WaterPixie only when a plant is lacking in anything that could stunt its growth. 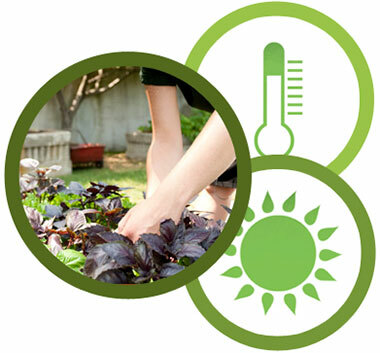 Take the guesswork out of gardening forever. You know that the WaterPixie is extremely affordable, designed to last, exceedingly easy to use, and highly intelligent, not to mention great looking. 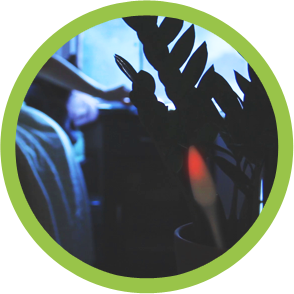 With a WaterPixie in every plant in your home, and the Pixie Garden Network keeping tabs day and night, you gain the confidence to grow more plants and begin to build your own ecosystem at home- exponentially increasing the health benefits with each plant. Indoor and outdoor landscaping can change forever with the revolutionary WaterPixie. The Pixie Garden network can track massive amounts of data from a number of plants. Office parks, hospitals, schools and even home gardeners could save hundreds of dollars by never having to replace a plant again. Your plants have been dying to talk to you. Now they can.